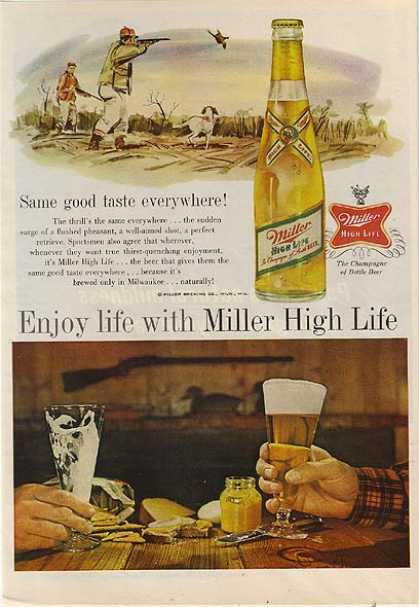 Wednesday’s ad is for Miller Brewing, from 1962. This ad features a hunting party taking aim at a pheasant in the top illustration, with the tagline, “Same good taste everywhere!” In the bottom photo, they’re back home in somebody’s rec room. One of them has drained his beer while the other is nursing his. Not sure what to make of that. One of them was lucky, and the other wasn’t? Today is the birthday of Frederick Sehring (December 19, 1834-July 2, 1892). He was born in Germany, but came to America with his parents when he was thirteen, in 1847, and settled in Joliet, Illinois. 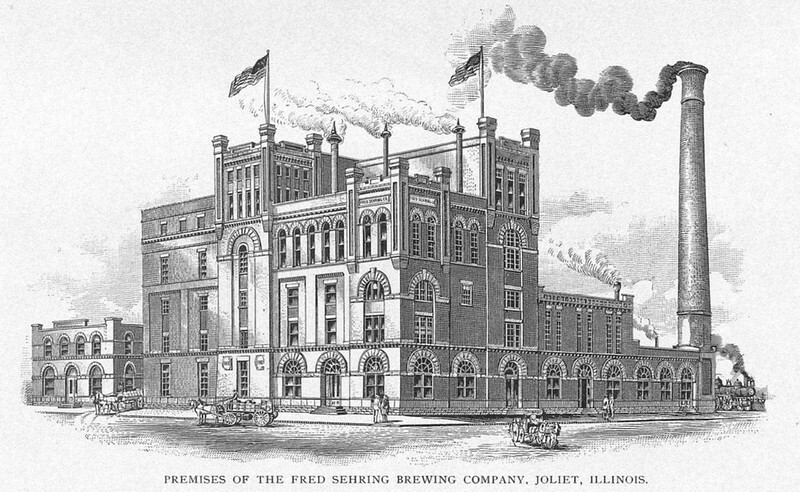 After careers in the service industry and politics, he bought the Columbia Brewery, and eventually incorporated it as the Fred Sehring Brewing Co.
FRED SEHRING, deceased, late president of the Fred Sehring Brewing Company of Joliet, was born in Langen, Dukedom of Hesse-Darmstadt, Germany, December 19, 1834, and received the rudiments of his education in the excellent schools of his native land. When thirteen years of age, in 1847, he came to America with his parents, Weigand and Margaretha (Keim) Sehring. 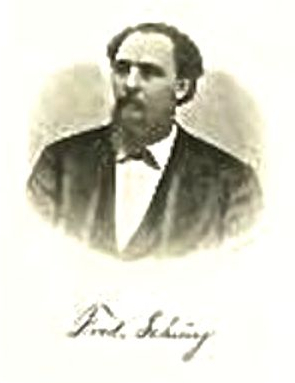 The Sehring family is one of prominence among the German-Americans of Will County. Its founders here were Weigand Sehring and his wife, who settled in Frankfort Township in 1847. Weigand was a soldier in the war of 1813 in Germany, which decided the fate of Europe. When he came to the United States he engaged in farming. In 1854 he and his family removed to Joliet and engaged in the hotel business, his son being interested with him in this enterprise. In spite of the fact that Fred Sehring had only eight months’ instruction in the schools of America, by diligent application he acquired a good English education and in early life laid the foundation of the broad knowledge that proved so helpful to him in later years. In 1860 he was appointed deputy clerk in the recorder’s office in Joliet, a position which he filled with such ability as to win recognition. In 1863 he was elected county treasurer. This office he filled with such fidelity and success that he was re-elected at the expiration of his term of two years, and served until 1867. 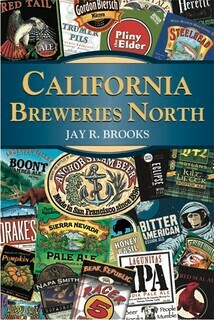 Upon retiring from office he purchased an interest in the brewing firm of Joseph Braun & Co., which founded what is to-day one of the finest plants in the northwest. The total capital at first was only $6,000 and during the 26 first year only three men were employed, but the total output reached one thousand barrels. Two years later it had increased to eighteen hundred barrels. 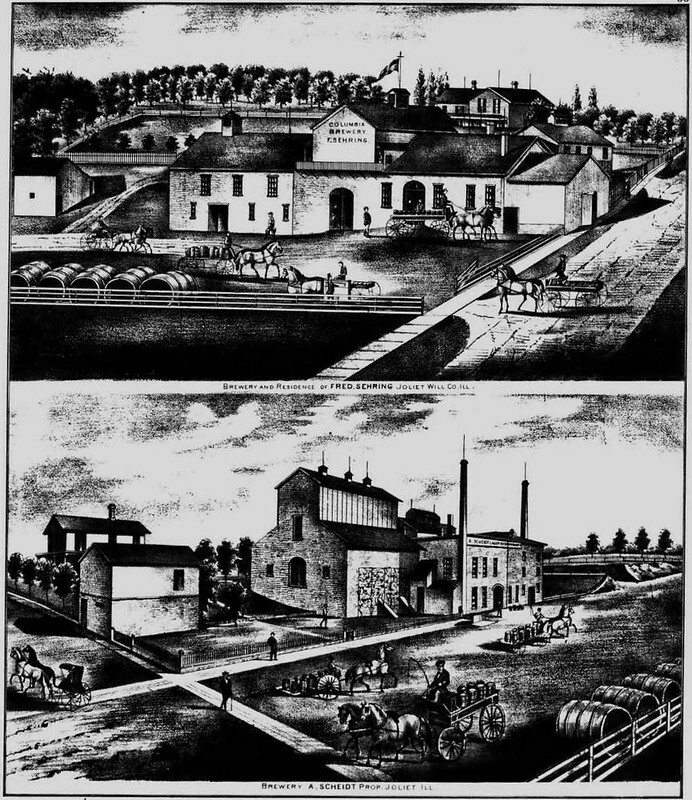 Upon the death of Mr. Braun, in 1870, a change was made in the business, Mr. Sehring securing the active control, and changing the name to Columbia Brewery. The success already gained continued during the ensuing years. He put his whole soul into his business, with a determination that always wins success; yet, while determined, aggressive and pushing, he was upright and honorable in every transaction and recognized no line between meanness and dishonesty. He believed that the man who would purposely cheat his friend would cheat his God. His heart was kind, and full of warm responses to generous natures. The constant increase in the business led Mr. Sehring to make a change. 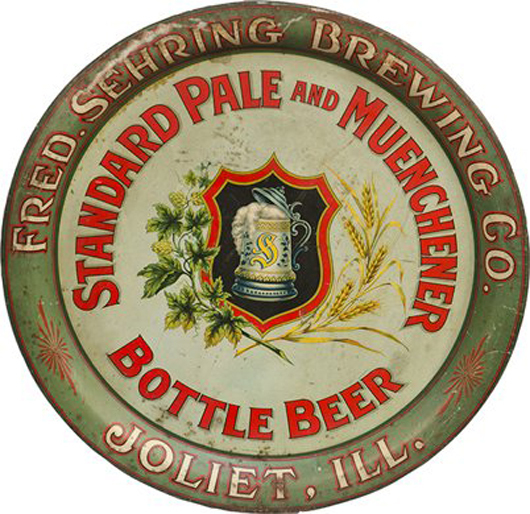 In January, 1883, he incorporated the Fred Sehring Brewing Company, with himself as president, his son Henry, vice-president, his son-in-law, Henry F. Piepenbrink, secretary and treasurer, and his son Louis J., superintendent. 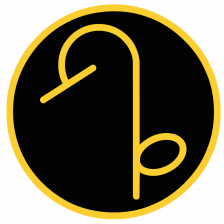 The new corporation began with a capital of $50,000. He continued to act as president until his death. resides at the old homestead, with her unmarried children, Susan E. and Louis J. Mrs. Fred Sehring was a daughter of Jacob and Barbara Bez, who came from Wurtemberg, Germany, to America in 1853 and settled in Joliet, where she was married to Mr. Sehring January 16, 1855. Besides her son and daughter who reside with her she has two daughters and two sons, viz. : Maggie, wife of Henry F. Piepenbrink; Henry, a member of the Sehring Brewing Company; Anna C., who is the wife of Dr. A. A. Poehner and resides in San Francisco, Cal. ; and George F., who is teller in the Will County National Bank, and was married in 1896 to Miss Louisa Kramer, of this city. A record of the life of Fred Sehring would not be complete without mention of his wife. Though her sphere was in the home, yet from that place she aided and encouraged her husband in his struggle for success. Thus she assisted in the upbuilding of the business that has made the name of Sehring prominent and influential. From her home she made many errands of mercy to the homes of the poor and needy, but her deeds of devotion and self-sacrifice were always quietly done, being of the kind of which it may be said that the left hand knoweth not the benefactions of the right. Even the weight of advancing years has not lessened her activities. 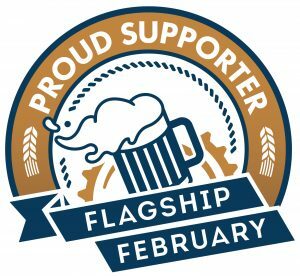 No one has ever left her presence discouraged, and her charitable spirit is so broad that it knows no distinction of creed or nationality. The death of Mr. Sehring did not prove fatal to the business he had built up. This was left in safe hands, with his sons and son-in-law. The eldest of the sons, Louis J., succeeded him as president, and is still the general manager of the business. 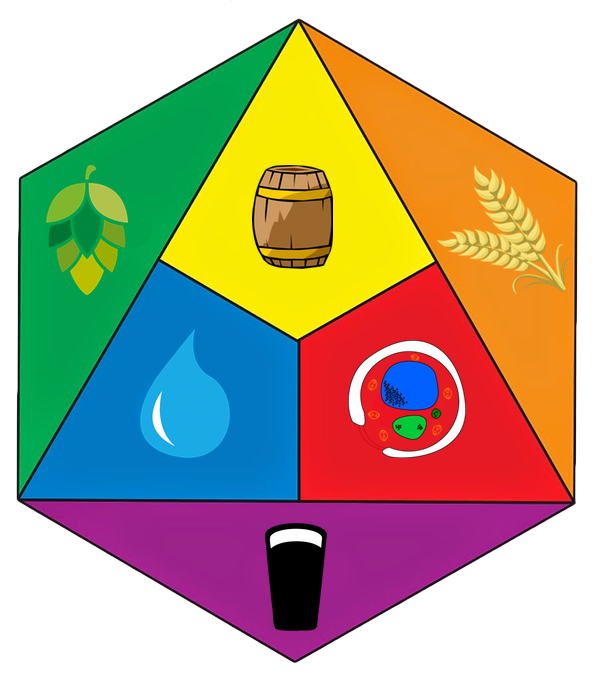 He was born in Joliet April 12, 1858, and at an early age learned the rudiments of the brewing business in his father’s brewery. 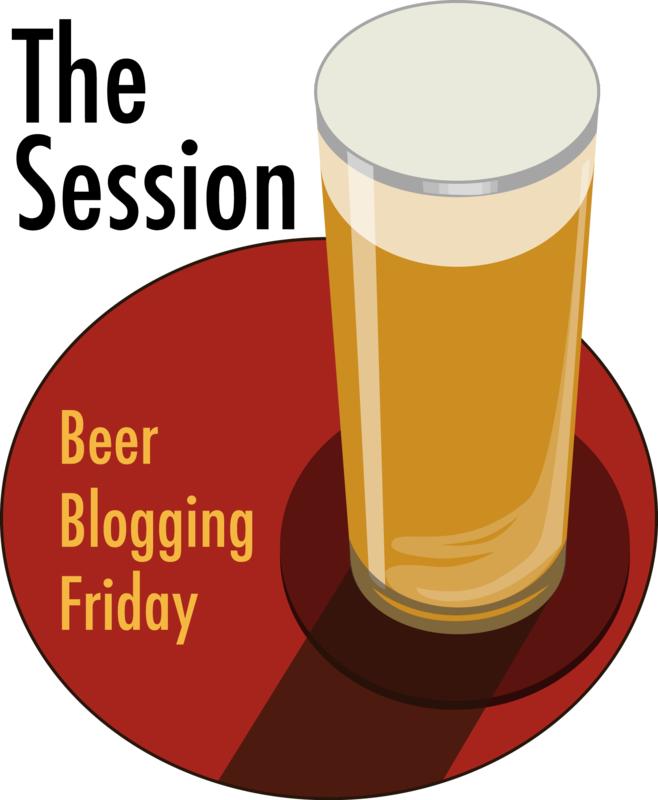 Afterward he served apprenticeships with Bernheimer & Schmidt, of New York City, and the Peter Schoenhofen Brewing Company, of Chicago. 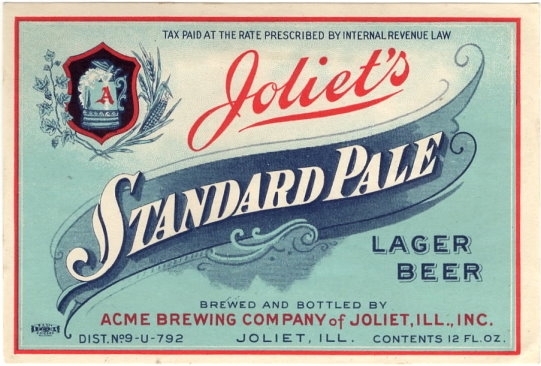 Returning to Joliet in October, 1877, he was at once appointed superintendent of the brewery, and has retained the position as manager up to the present time.